EWTN’s original, live viewer call-in show with Foundress Mother Angelica offering practical and witty solutions to life’s challenges. From the hilarious to the miraculous to the purely poignant, EWTN has compiled your all-time favorites to inspire, educate, and entertain you all over again. 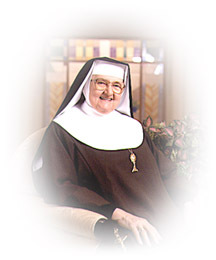 Hear classic episodes of Mother Angelica and other favorites from EWTN’s timeless programs.